I love Key limes, also known as the Mexican lime or West Indian lime, as you may know if you’ve perused this blog. After about 20 years, my beloved Key lime tree needed to be replaced. It produced so much beautiful fruit through the years, I was sad to see it go. You never know what you will get in a new fruit tree. Well, the new tree we planted almost 3 years ago has yet to disappoint. Last season was a bumper crop of the juicy, yellow delicacy. Yes, Key limes are meant to be yellow. Not green like you find in stores. When you pick them, they should easily twist off the branch. If they do not, they are not ready. I don’t even test the green ones. I had so much fruit that I couldn’t use it all so I juiced the limes and froze the juice for later use. With only four ingredients, this recipe is perfect for any skill level. 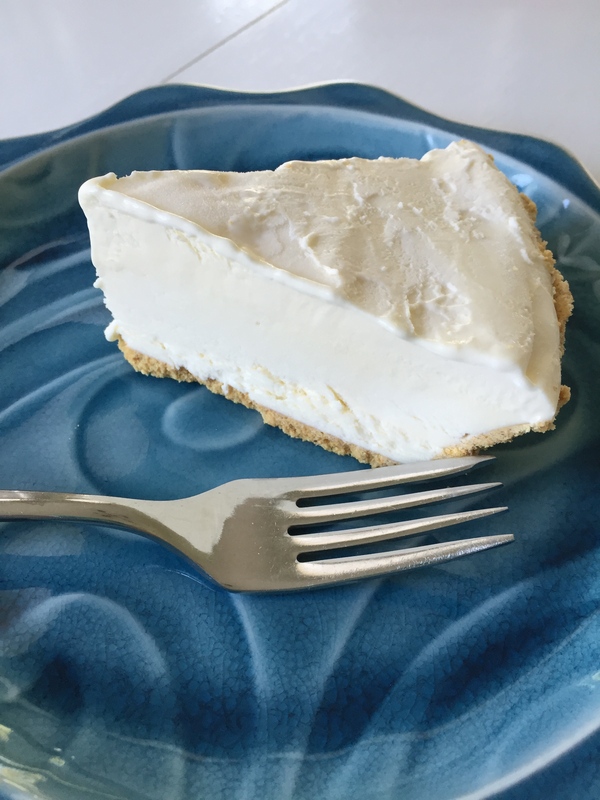 So week 17 in the 52 Week New Recipe Challenge is a new to me recipe for Key lime pie. I have made others in the past but this one is frozen. The texture is smooth and creamy. Very refreshing on a hot Florida day. In a medium bowl combine the sweetened condensed milk and Key lime juice. It will take a bit to combine them well. The juice should be well incorporated. In a separate bowl beat the whipping cream with an electric mixer until soft peaks form. The tips should curl. Fold whipped cream into lime mixture until thoroughly combined. Spoon filling into graham cracker crust, smoothing evenly. Cover and freeze up to 4 hours or until firm. Remove from freezer about 10 minutes before serving to make serving easier. Return leftovers to freezer, covered. This entry was posted in 52 Week Challenge, Company Worthy, Desserts, Favorite Things, Pies, Pot Luck, Sunday Dinner and tagged dessert, frozen dessert, graham cracker crust, Key lime juice, Key lime pie, Key limes, lime, refreshing dessert, Summer dessert, sweetened condensed milk, whipping cream. Bookmark the permalink.